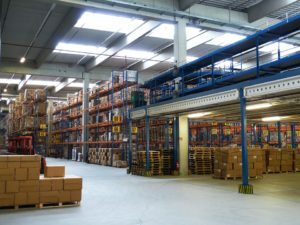 If you are looking to add to or replace industrial shelving in your warehouse, you might think it is as simple as buying the required shelving units and installing them. However, careful consideration of the type of shelving unit you are looking to purchase will save you time and money in the long run. There are a number of different types of shelving you could consider. Rivet shelving is durable and versatile, and it’s quick to build. This shelving unit has a frame of solid steel, and the shelves are made from a variety of materials – steel, wood or wire decking. You can build rivet shelving with a hammer and a screwdriver. Rivet shelves are also variable in size and affordable. The downside to rivet shelving is that aesthetically it is not attractive, and it can also weigh a fair bit depending on what the shelves are made from. https://seerackinginspections.co.uk/hses-guidelines-for-racking-safety/ says that at best good shelving helps productivity, but poor shelving choices lead to a potentially dangerous work environment. Steel shelving is shelving made completely from steel; it looks a little like a steel bookshelf. The shelves may be backed or open and can be accessed from all sides. Sway braces can assist with keeping the shelves firm. The advantages of steel shelves are that they can be altered to fit, with different levels and heights being possible. You can also include dividers, drawers and storage tubs in them, which means they are easily customised. You will often see steel shelving used in offices or hospitals. They are, however, trickier to build and costlier. For a good range of industrial shelving Ireland has specialists in shelving such as www.rackzone.ie/shelving/industrial-residential-shelving offering shelving that can handle loads from 60kg to 400kg. Sharing a similar frame to rivet shelving, wire shelving is lightweight and usually comes with wheels to make it transportable. 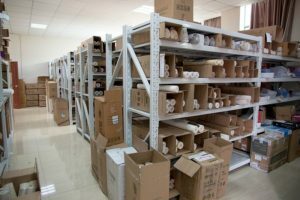 As a result of the lightweight nature of the shelves, they generally are not useful for heavy loads or small items, as the wire grid is not solid and therefore items can fall through. Wire shelves are not easily customised, but being able to move the shelves around and their being accessible from all sides can be a benefit.